Now I will begin putting it all away . 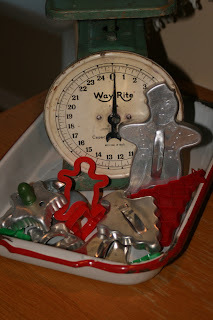 . .
Maybe I should weigh each cookie that I eat to see if that coincides with any weight gain! Hailey and Axel after a hard day of taking care of the house . . . we are getting a new roof (just as much fun as getting new tires!) and they have been concerned about all the footsteps up on the roof top for the last few days. Do you think they were looking for Santa and his reindeer? Only a few more days for all the little ones to wait . 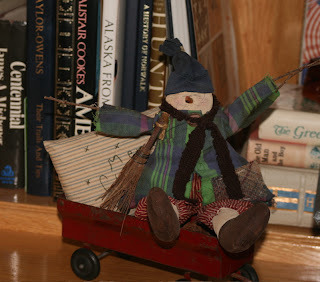 . . then we will have to be packing up the holiday decorations! 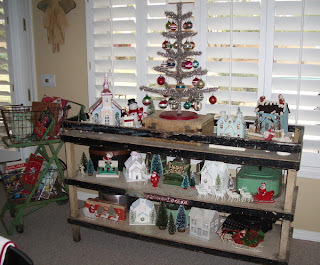 A Tinsel Tree, a Bottle Brush Tree Cloche, Nicol Sayre Snowmen, more Shiny Brites, a plastic 50's Santa . 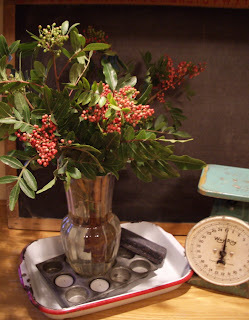 . . . . a few more of my favorite things!
. 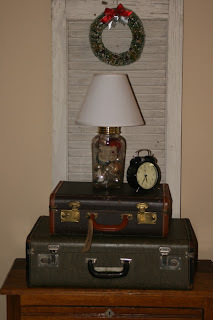 . . a vintage pickle jar lamp with Shiny Brites makes a perfect bedside light during the holidays!
. 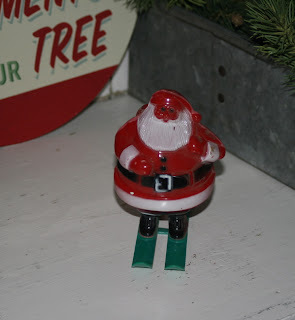 . . the little Santa boot is a reproduction as well as the little glitter bird in the boot . 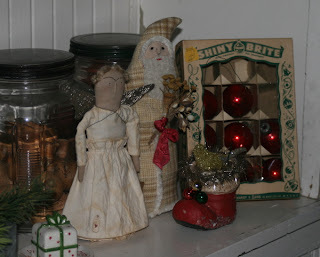 . . some red SHINY BRITES, a wonderful Santa by my friend, Olivia Thomas, the talented Ms. Olive Rose and an angel I made several years ago. My camera is missing - eeeekkkk! I LOVE my little camera (a Pentax Optio S5i) . . . so I had to use Bob's fancy BIG one until I can find mine. 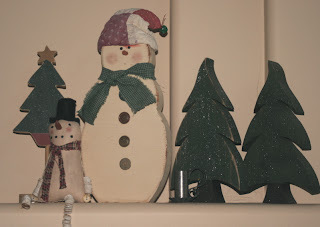 I took lots of photos today though so there will be plenty to share at least until Christmas. This baker's rack has most of the bigger cardboard houses this year . 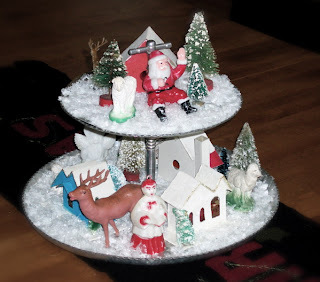 . . and three little Santas with their sleighs and reindeer. 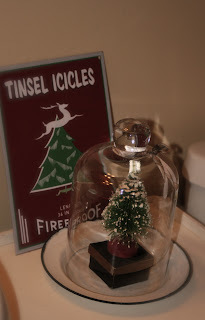 The tinsel tree from Seasons of Cannon Falls is my favorite. 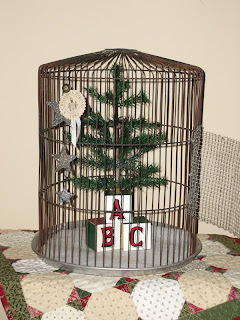 A little feather tree on alphabet blocks in a bird cage sits on the little quilt from our Snowflake pattern No 140. 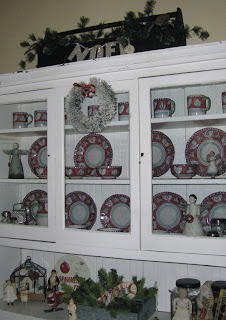 The glitter glass stars are from Wendy Addison's A Christmas Pageant 1880 decorations. This link will take you to an ebay auction that has five of them right now. 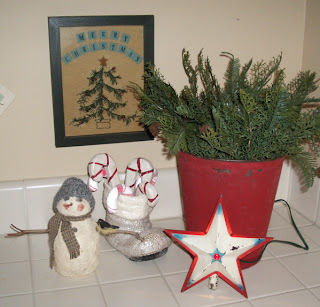 The first photo is of a snowflake ornament but scroll down and you will see the same one I have with three stars. I don't know anything about this particular ebay store but if you are like me you just may want your own dangle star ornament! Off to Las Vegas tomorrow for the National Finals Rodeo and some shopping at Cowboy Christmas. 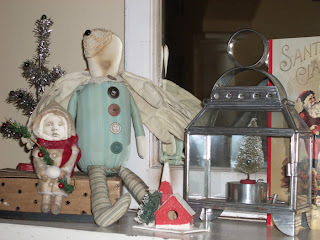 The twelve days of Christmas Vignettes will start again on Saturday - hoping to see you then! 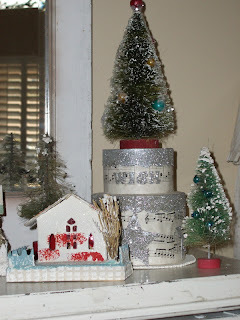 This is a wee part of the bottle brush tree and little vintage cardboard house obsession that I started a few years ago. 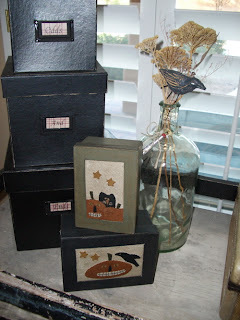 The round paper maché boxes are Wendy Addison I think. 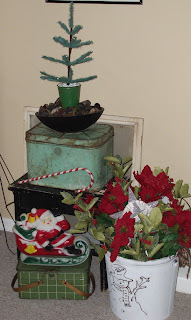 They make a perfect pedestal for a Christmas tree.
. . . some candy canes, a red bucket of greenery, a vintage metal tree topper & a cute little snowman! 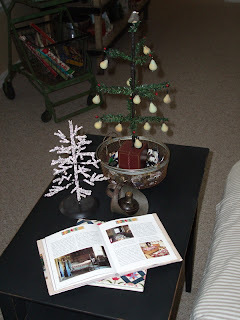 OK, I know it is supposed to be three French hens but starting today the posts won't fit the verses. Also my twelve days will have a few days interruption when I go to Las Vegas on Wednesday for the NFR (National Finals Rodeo) and Cowboy Christmas . 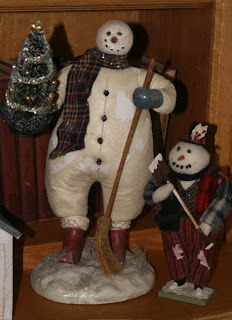 . . back on Friday and the vignettes will start again. 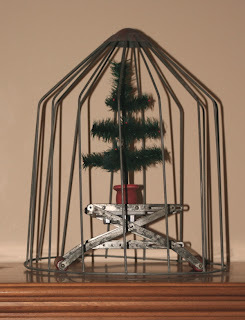 On the 2nd Day of Christmas my true love sent to me . . .
two turtle doves, I mean . 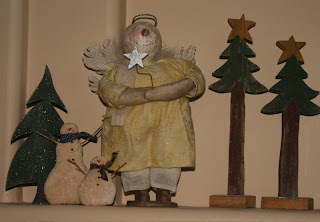 . . even better two little angels and a partridge in a pear tree. 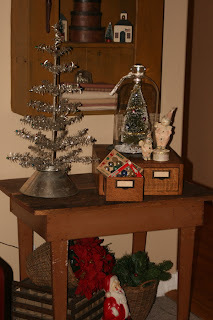 The little glass oil lantern (at least that's what I think it is) is new this year and a perfect little pedestal for a bottle brush tree. 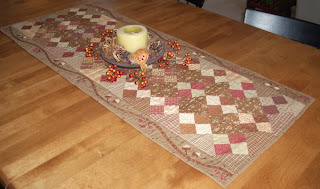 Thank you Kathie for leaving a comment (visit her blog to see the beautiful tree quilt she is working on) - the two quilting book titles on the end table in yesterday's post are Cloth & Comfort by Roderick Kiracofe and The Quilter's Companion by Linda Seward. Both are very inspiring little quilt books. 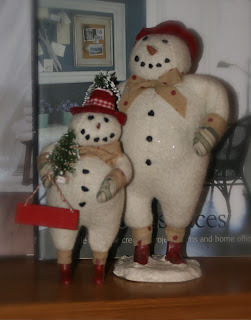 . . . . hoping you are enjoying a Merry & Bright Season! 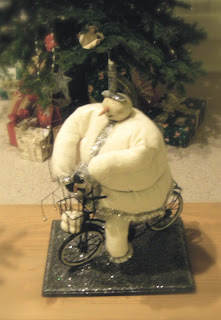 a partridge in a pear tree. 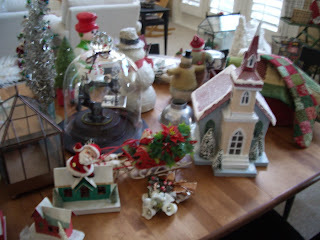 Today starts twelve days of Christmas vignettes - I hope you will come back to visit. 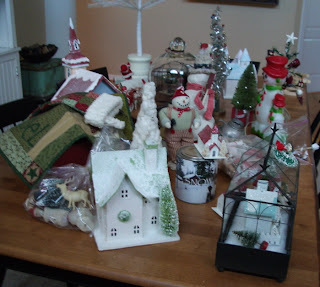 This is just a tiny bit of my Christmas stuff - all of this is part of what was stuffed in among the inside boxes. Now the excitement begins . . . . I love this new rug . 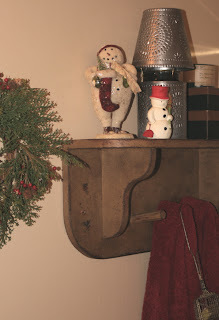 . . my friend, Cindy - shopper extraordinaire, found it at Home Goods. 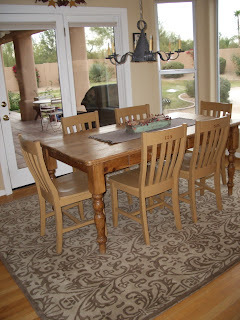 We haven't ever had a rug under this table so it may take a while to get used to one. Happy Turkey Day to everyone . . . I hope you have as much to be thankful for as I do! just a few more days . 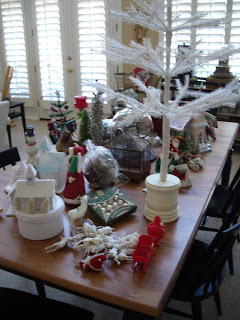 . . a big harvest feast and let the decorating begin! 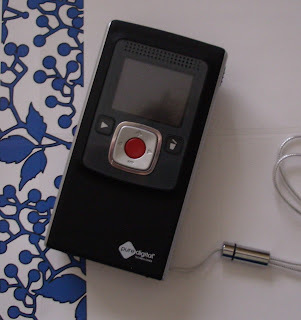 This is my new Flip Video Ultra camera . . . . I LOVE gadgets and it only took a little preview to decide to get one of these. So far I did a little video of Axel and Hailey and tried to download it into iMovie for editing but that keeps freezing my computer. hmmmm - maybe I better try reading the directions! My plan is to make short little videos with a quilting idea or working on a journal page or making a collage or ? Since I have to wait for the tripod (it's backordered) to make an instructional video, You Tube might be fun in the meantime! A Little Bit of Fall and Finally Feeling Better! 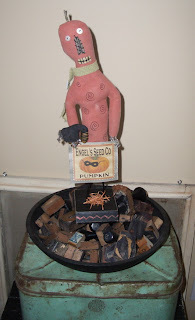 You're invited to visit my brand new blog Mixed Media Play . . . . it is a place to share my playtime - I mean artwork with you. I hope you will stop by soon. Dan in Real Life was delightful . . . mindless fun entertainment, exactly my favorite kind of movie! I highly recommend it! My magazine love has taken over my studio/office and family room . . . stacks everywhere trying to sort out the "must keep" from the "donate/recycle". Only two lonely magazines in the "donate/recycle" pile! Any ideas on how to tame my "must keep" mountain? After being gone for a week they are watching me like a hawk wondering if I might disappear again. Don't you just love our furry friends? 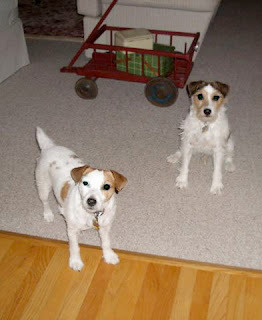 They always greet you with wagging tails ready for a hug! Too little sleep and too much fun at market must have lessened my resistance because I have come down with an annoying cold. Feeling pretty puny! Maybe a movie will perk me up . . . . off to see Dan in Real Life! This little Happy Halloween banner is made by Martha Stewart and it is sold at Michael's! I was lucky enough to get it from my sweet friend Cindy. It was already sold out at Michael's when I found out about it. 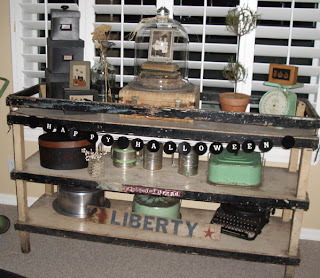 Darn no trick or treaters again . . . . we stocked up on delicious candy since several little people moved into our neighborhood this year but even with all our lights blazing we didn't get to see any little ghosts or goblins! Pat Sloan stopped to visit at market and finally I thought to have someone take a photo of us to share with you . . . too bad I waited until the last day to think of that! 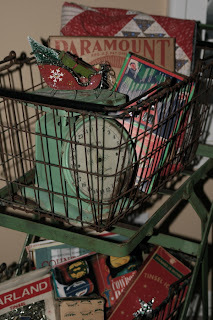 I got to see so many darling friends at market - I will take photos of all of them in Portland at Spring Market! 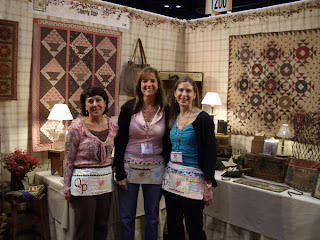 It was such fun to see the darling girls from Quilters' Paradise (Clovis, CA) in their Utility Aprons when they stopped by to visit today! Shhhh don't tell anyone but market it sooooo much fun and I get to call it work! 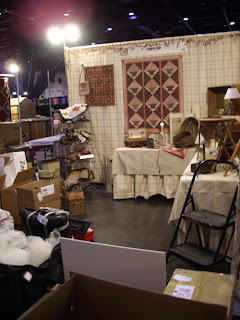 First Day of Set Up at Quilt Market . . . It looks pretty messy right now but there is still one more day to finish up and make it warm and inviting! More tomorrow . 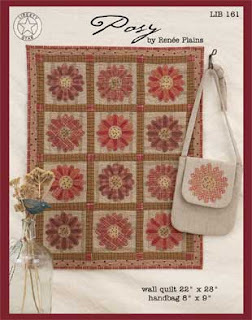 . .
two more pattern covers . . .
Color Inc does my photography and prints the covers . . . they are the very BEST! Lucky for me they are right here in the Phoenix area but they can help with photography, design and printing even if you don't live here. Thank you for your very nice comments Dawn, Lisa, Nancy, Karen & Carol! That is especially nice when writing the directions - drudgery! Here is a link to the ebay auction for my little quilt . . . I almost missed it. I am happy to say there are a few bids on it - there were so many beautiful quilts donated not every quilt has found a home. 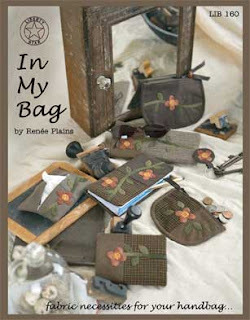 Here is another one of the new pattern covers - there is a coin purse, a make-up bag, small notebook cover, tissue case, eyeglass case, checkbook cover and a key fob. 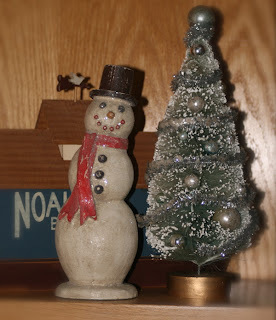 They were quick & fun to make. 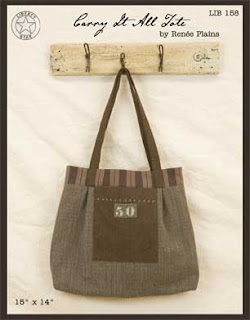 Thank you Edina and Dawn for your kind comments on the "Carry It All Tote" I really appreciate your thoughts. 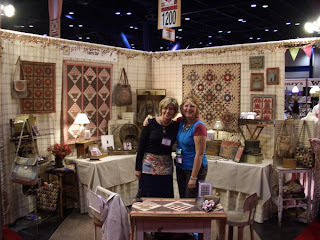 Quilt Market in Houston starts two weeks from tomorrow - oh my goodness so much work to get done - can't wait to see friends like Julie! 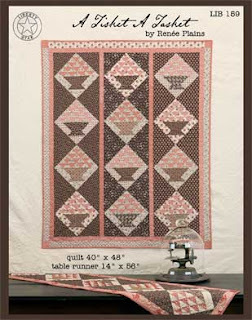 This is one of the new patterns that will be available at the end of the month. The other new titles are In My Bag, Posy & A Tisket A Tasket. In the next few days I will post the other new covers. Writing the directions is the next step - it is tedious at best and probably my least favorite part. 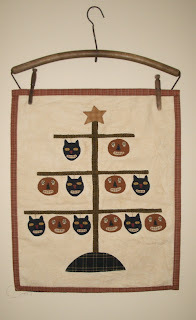 This little wallhanging was a kit from Plain Jane's Quilt Shop in San Antonio, TX. 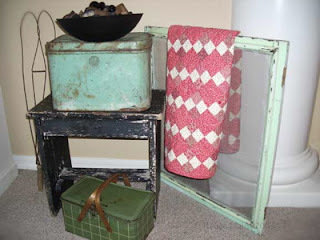 Not sure if they still have this pattern/kit but they have a website and an ebay store with lots of primitive treasures. It still isn't quilted or even finished (see the thread on the bottom left side) - maybe I will try to work on it a little bit then put it back on the wall. A tisket a tasket five more baskets - a table runner that will also be in the new basket pattern . . . 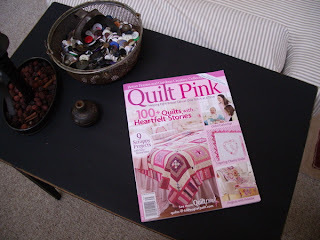 Better Homes and Gardens Creative Collection Quilt Pink magazine is on newsstands now. 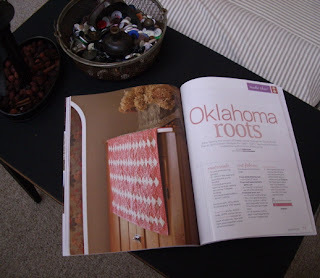 I am lucky to have a project in it "Oklahoma Roots" on page 76. 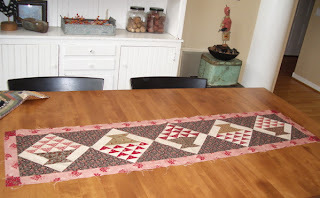 I think this quilt will be on the ebay Quilt Pink auction sometime early this month. 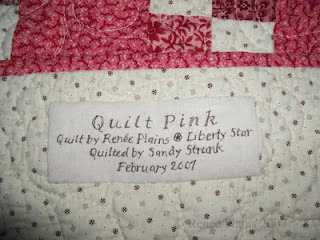 If you search on ebay for Quilt Pink there are many wonderful quilts to look at and bid on.